Want to learn how to raise chickens, make your own beer, or learn how to can? We’ve got a large selection to choose from. Here are the classes we will be offering this year. Stay tuned for future classes. Learn what, how and when to start planting for a well-timed and productive year-round garden here in the Bay Area using organic methods. We will talk about propagation, companion planting, cover crops, perennials, and choosing the best varieties to grow for our area. We’ll go over what your soil needs to get through the year, and the proper methods of bed preparation and crop rotation to prevent pests and diseases. We’ll also discuss drip irrigation and the basics to setting your own system up. Bring your gardening questions that need answering during our Q&A section. Workshop is rain or shine (we have warm dry space for rainy days). Seating is limited so register early. For all levels of gardener. Class instructor: Rachel Hoff is a licensed Landscape Architect has been gardening for over 20 years and teaching gardening workshops for the past six years. Learn the basics about propagating plants. We will be focusing on edibles but will also discuss native plants and ornamentals. We will talk about seeds, cuttings, layering, and division. Learn about different growing media and supplies that you’ll need to be successful at propagation. This is a hands-on class so prepare to get your hands dirty. Class instructor: Rachel Hoff is a licensed Landscape Architect, owns Grow a Pear Nursery, has been gardening for over 20 years and teaching gardening workshops for the past six years. The growing season is starting to ramp down but it’s also the time when we have the most questions. What problems did you see this year? How can you increase yields? What is this bug? Bring your questions and learn some new things. We’ll have a question and answer session about general gardening. We will also discuss soil fertility, planting schedules, how to be as productive as possible and how to garden on a budget. Class instructor: Rachel Hoff has been gardening for over 20 years is a licensed Landscape Archited and teaching gardening workshops since 2012. Learn the basics to making your own homebrew and hard cider including the equipment you’ll need, different types of ingredients, the different types of homebrew and hard ciders, recipes and kegging and bottling procedures. We will get you started using the easiest form of homebrewing with premade malt extracts which make quality control much easier for the beginning homebrewer. Must be at least 21 years old to attend. Seating is limited so register early. Class Instructor: Rachel Hoff has been making homebrew and hard cider since 2002 and has been making homemade sodas since 2009. She’s made a vast variety of different types of ales, stouts, and ciders over the years. Learn everything you need to know about basic chicken care. We’ll talk about the different breeds and reasons for raising chickens. You will learn about feed, supplements, and their dietary needs in general. We will go over how to handle your birds properly, examine them for issues, and take care of their physical and social needs. Seating is limited so register early. Class instructors: Rachel Hoff has been raising chickens for eggs and meat for 10 years and has been teaching beginning and advanced chicken workshops for the past 5 years. Learn how to make preserves and even jellies the way your grandmother did – without adding commercial pectin. We will go over safe canning techniques the types of fruit that can be used for making pectin-free preserves. Students will go home with a jar of preserves from class. Class Instructors: Rachel Hoff has been making a vast variety of preserves without added pectin since 2006. 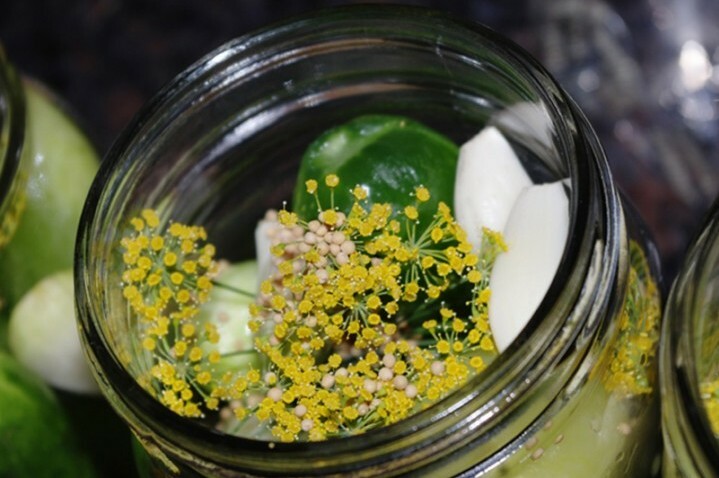 Learn another method for preserving the harvest, vegetable pickling. We will discuss both acid pickling and lacto-fermentation methods, and we will have a hands-on demonstration of the methods for producing safe and tasty pickles from your fresh garden vegetables. Students will get to personalize and take home a jar of pickled vegetables. Class instructors: Rachel Hoff has been making vegetable pickles since 2008. That’s right! It is already time to start thinking about your fall and winter gardens! Learn what, how and when to start planting for a well-timed and productive fall and winter garden here in the Bay Area. We will talk about concepts like overwintering vegetables, cover crops, perennials, and cold hardiness. We’ll go over what your soil needs to get through the winter, and the proper methods of bed preparation and crop rotation to prevent pests and diseases. Attendees will go home with a 6pack of fall vegetable starts. Class instructors: Rachel Hoff has been gardening for over 20 years and teaching gardening workshops for the past three years. Tomato season is in full swing. If you’re anything like us, you’ve got them coming out of your ears and are trying to find ways to preserve your bounty. We will discuss proper canning methods to produce a safe product and different recipes including juice, sauces, paste, and jam. Students will go home with a jar of pizza sauce. Class instructors: Rachel Hoff has been preserving tomatoes in various forms since 2006. Class instructors: Rachel Hoff has been raising chickens for eggs and meat for 7 years and has been teaching beginning and advanced chicken workshops for the past 2 years. Heirlooms and open pollinated varieties are gaining in popularity, not just because they increase our biodiversity but also because you can save seed from them year to year. Come learn how to save seed, why you should know how to save seed, and how to keep varieties from cross-pollinating. Students will get to take home a packet of open pollinated seeds to plant the following year. Class Instructors: Rachel Hoff has been growing all open pollinated plants, most of which are heirlooms for specific purpose of saving seed since 2004 and has taught workshops on seed saving for the past two years. Are you running out of ways to use up all those late summer tomatoes and peppers? Learn to make your own delicious condiments and put them up to enjoy the whole year! We will be making our own homegrown hot sauce, BBQ sauce, and ketchup, using farm fresh produce and tons of great herbs and spices. Students will get to take home a jar of a personalized condiment spiced how they like it. Class instructors: Rachel Hoff has been making various condiments from her homegrown produce since 2006. Have you ever considered raising goats but don’t really know if it’s for you? Come learn about what it takes to have your own milk-producing (or not) family goats. Meet a few, see where they live, and learn what goes into keeping them happy and healthy. Learn about how milk production works, and about how much work goes into daily life with goats. Class instructor: Rachel Hoff raises dwarf breed goats for dairy and is a member of the American Dairy Goats Association along with participating in ADGA Performance Programs. id like to sign up for your classes but my work schedule is crazy now, im with contra costa electric, and apperently we are trying to save the world, which takes a lot of overtime…. my girlfriend and I where at your last open house, enjoyed seeing your great set up and oh course meeting you both. look forward to a class soon as i can, thanks Warren… by the way what kind of apple variety is that you have in the front yard, i remember folks asking about it but didn’t catch the name. Are you currently selling at Moschetti’s on Saturday? If so, are you selling tomato plants?? Or do you still have tomato plants for sale at you home/nursery? ?